Pre-war Srebrenica was a culturally diverse historic town, a popular destination for mining, manufacturing, tourism, crafts and vocational education; and constitutes one of three urban centres in our ‘Regional Centre for Trade, Technology and Vocational Education 2020’ masteplan. During the war Srebrenica was declared a UN 'Safe Zone' with its subsequently destroyed craft market a key destination for economic, cultural and political exchange. 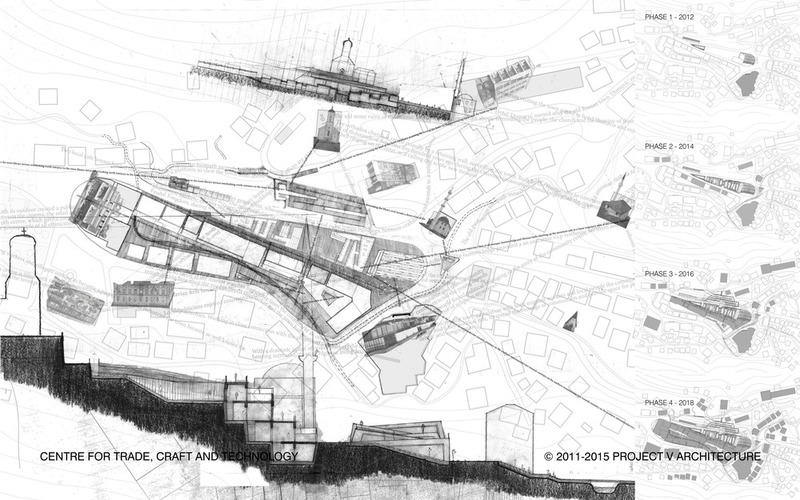 This project proposes phased urban renewal of Srebrenica’s market and town centre, by elevating the left-over 'charged void' onto a series of structural concrete walls that follow the geometry of the former market to provide craft and tech workshops that links the upper and lower town with a ramped roofscape and a new public market square. The roofscape ramps up the hill into which a new library is carved, connecting the upper Church level with the Mosque and town centre. 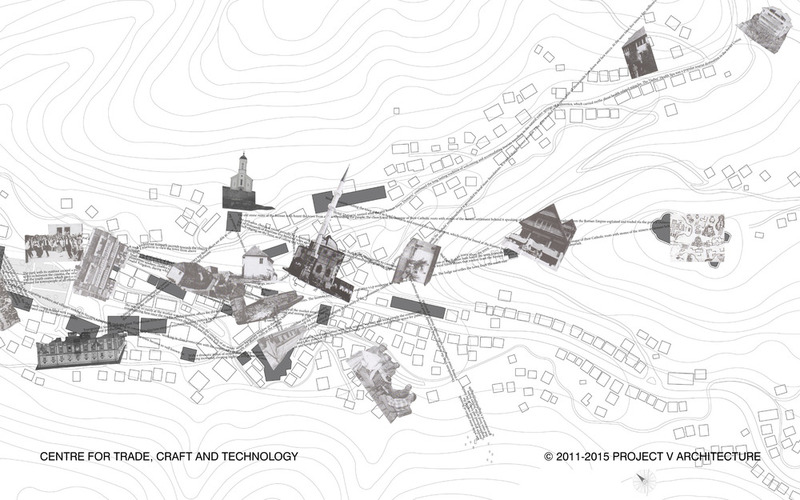 The resulting infrastructure mediates between disjointed institutional 'urban characters' and topographical boundaries, while framing key views, and providing a framework to be clad with local materials as local industries and stories develop. Residential units for returnees are built separately into the adjoining landscape.